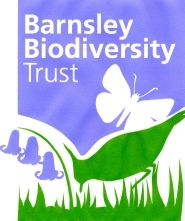 Some sites have been registered with Natural England as Local Nature Reserves (NLRs) by Barnsley Council. These are recognised for planning purposes and byelaws may be set to give them some protection against damage. They have at least some public access and conservation management arrangements. West Haigh Wood near Grimethorpe. These are all also Local Wildlife Sites although the boundaries of Local Nature Reserves may not be the same as the corresponding Local Wildlife Site. Other nature reserves in Barnsley operated by the RSPB and other groups are not registered with Natural England as LNRs. Local Nature Reserve (LNR) is a statutory designation made under Section 21 of the National Parks and Access to the Countryside Act 1949, and amended by Schedule 11 of the Natural Environment and Rural Communities Act 2006. Local Authorities apply to Natural England for a site to be designated and registered as a Local Nature Reserve.